This made me think, are there things I love because Dad did? I suppose there are things I like and things I do and choices I’ve made along the way because of him. I was born in Athens, Georgia and into this family that has perpetually rooted for the Georgia Bulldogs. So, I’ve always considered myself a fan, though it’s laughable to call me a fan of any football team. Dad loved music and so do I, though I can’t say he influenced my choices of musical styles. Dad’s work ethic was an example to me and I think it had a lot to do with my educational goals when I first went off to college. I majored in marketing with an eye on fashion merchandising. Dad didn’t ever push me into it, but he was clear with his desire for me to get a college education, something he never had. He explained to me the changes in the workplace and how, in his later years, he couldn’t hire anyone without a degree. How I wish he had been there when I finally graduated with a degree in Elementary Education. Dad was also a wordsmith of sorts. He loved to use big words. He admitted to having poor handwriting and spelling skills; he said that’s what secretaries were for. He also loved to make up words, specifically names for us kids and then the grandkids. Maybe I somehow absorbed his love of words. Like Woods, I love photography and I like baseball. I don’t know where exactly my love of taking pictures came from, but it has evolved greatly in recent years. My enjoyment of baseball totally came from my husband. All this brings me to say, I’m glad for the glimpses of Dad that show up in me on occasion. The wordplay, the sense of honesty, the sense of humor. Thanks, Dad. The prompt for Day 4 of PAD-2016 is “Distance”. The first thing that came to mind was “Go the distance,” via Ray Kinsella/W.P. Kinsella/ Field of Dreams. Though this isn’t particularly a baseball poem, it IS Opening Day, so rather serendipitous. I needed this advice last year when I received a rejection via email. I had submitted three poems to a new literary magazine. I was really hoping that at least ONE might make it. I had two people look over 6-7poems and tell me which ones they thought were best. Evidently the judges weren’t in agreement. I have since experienced several other “failures”. Is failure to be expected? Yes. Does it hurt? Sure. Is it easy to “…go on working steadily day by day, quite quietly…”? No, unless we stop and realize that this is what we are supposed to do. Life isn’t all about limelights and successes. Contrary to popular belief, spouted by coaches and educators, we can’t all be whatever we want to be. But, we can all labor to shine as lights in the world. Do all things without complaining and disputing, 1 that you may become blameless and harmless, children of God without fault in the midst of a crooked and perverse generation, among whom you shine as lights in the world, holding fast the word of life, so that I may rejoice in the day of Christ that I have not run in vain or labored in vain. I haven’t done a throwback post in a while, so here goes. I found this postcard in an antique store a few years back. 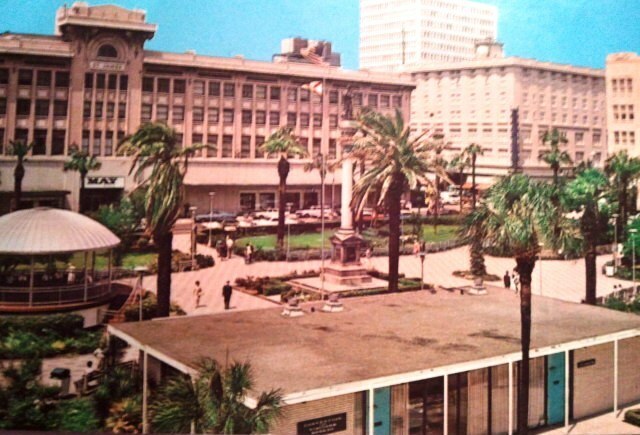 This is how Hemming Park/ Plaza used to look. It has been redone once or twice since this picture was taken. I like the picture because it shows the May Cohens department store. This is where I worked the summer I got engaged. I worked upstairs in the credit department. I felt so grown up working downtown. Some days I would take my lunch and eat in the lunch room where the TV was always showing “The Young and the Restless”. It was from the snack machine there that I had my first Lorna Doone shortbread cookies and I still love them. On occasion I would venture out with someone to eat somewhere nearby. There were other large department stores down the street such as Ivey’s and Furchgott’s . One of them had a nice restaurant inside. After I got married I still worked there. We only had one car so I rode the bus. Hemming Park was the main hub where all the buses went, so it was convenient. I enjoyed riding the bus, actually. I was on the phone a large part of the day, listening to customer complaints. I got a headache nearly every day, so I was glad not to have to drive home. May Cohens was in the St, James Building which is now City Hall. 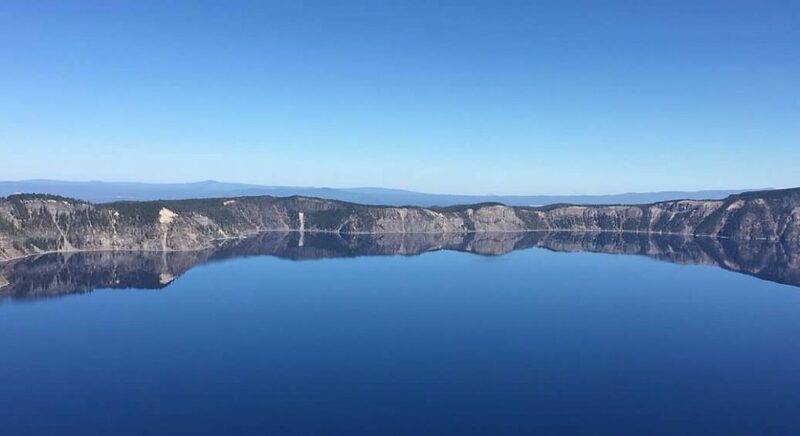 I was there a few weeks ago with my mother-in-law. It was so strange to be inside because it looks completely different now. I love the history of old buildings and it’s fun having this connection and the memories of how downtown Jacksonville used to be. Some things change for the better, some for the worse. I hope these beautiful old buildings stay around for a very long time.